This is not mine, but I have seen it in person. It really does have 47k, but it was outside for the last 10 years or so. The body is rough, but I've seen worse. Floor pans are solid and it's complete minus a few window trim pieces and Malibu Classic emblem. The 350 runs great. He doesn't have the title. Missouri makes it extremely hard to get a title, but if you live in a different state it may be easier. He bought it from an farm auction. I have a feeling if the right offer comes along, he would take it. That engine compartment looks pretty crusty for only 47K miles. This 76 is also for sale in KC. There is obviously a lot of rust around the top but I think it might be a good candidate for a parts car. From what I can see the white swivel interior looks decent. I'd love to have the interior out of that car. I'm sure there's lots of other good parts. Getting it out of there could be an issue. Anyone want to go in on it? I don't think I would want the buckets and console. Just the door panels and white plastics. Mcarlo77 wrote: That engine compartment looks pretty crusty for only 47K miles. 47k is accurite. The doors closed flawlessly, the window regulators were smooth and there's very little wear on the seats and brake pedal. I wish my Chevelle started as easy. 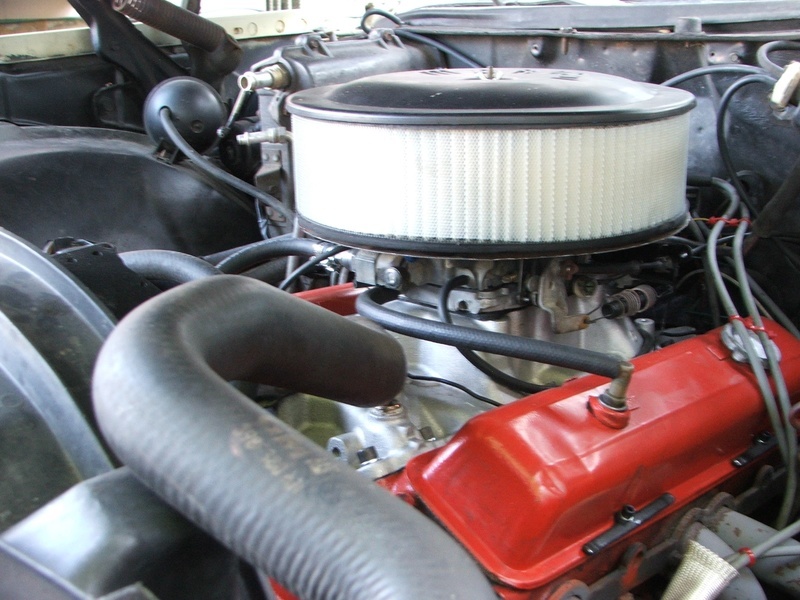 The Edelbrock carb on mine has the typical fuel boil. It has some life left. The emissions sticker on the rad cover shows a spark plug gap of .050 which makes me think this might be a late 74 model that has HEI. Cant tell by the engine pic. The sticker also says "Catalyst" which might mean it has a catalytic converter as well. That picture of the emissions sticker must be from a different car. It looks like it's off an LT1 from '95. It is factory HEI, no converter and double cutaway crossmember. Mine showed 45K on the odometer and I knew that to be incorrect. More like 145K which I'm sure that the one in the AD probably has 146K on it. Mine looked very similar to that under the hood. It didn't shy me away from buying it at all. I was more concerned about the body than the engine. 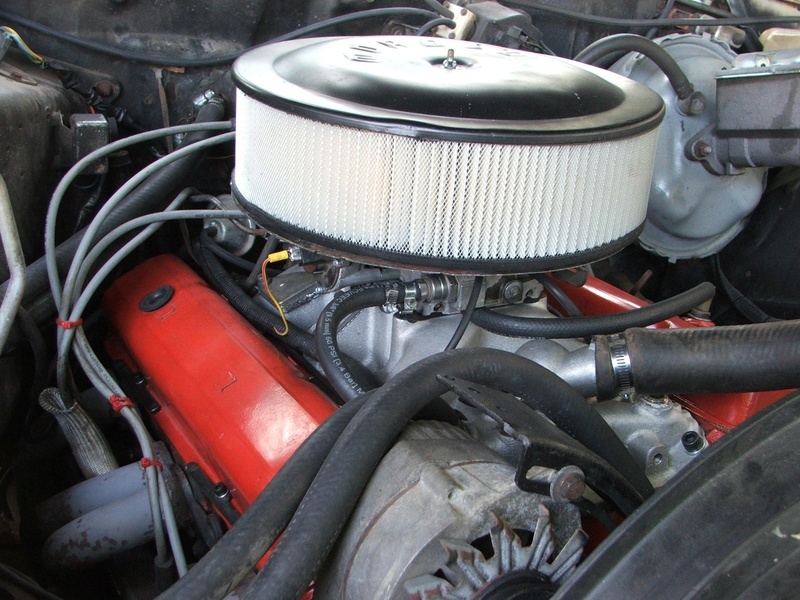 Now you can see what a little elbow grease and just a few bucks can do to make that cars engine compartment look much better. The seats were weird in the 74. It had an all green cloth back seat, but the front was white cloth, green buttons and stitching and green vinyl on the sides and back. I've never seen that before, especially with the front and back not matching. Anyone see that before? I've seen lots and lots of interiors...but, nothing like you describe. I'm curious as to how nice the white interior is in the '76 Malibu. Those are extremely hard to find; especially, the upper headliner and sail panel trims. I may reach out some time this week. If you get a chance, feel free to look yourself. $1500 is too high though. I've got a spot to store it, but it is by my house in Blue Springs. Not a big deal, just a bit more for a tow. I may have a way to get it moved cheaper. Well just FYI. If you are planning to come to the Piper show this weekend, you will be in that area. We were discussing the white 76 today at a car show. We were all in agreement that it was not worth that much and it would sit there for awhile. I guess we were wrong. I had asked the seller a question earlier in the week and he texted me today to inform me that it has been sod. I think this is the same white Malibu that recently sold. It is now listed as a 1977 and has been cleaned up and apparently got running. It's got to be the same car. How many triple white Malibus with swivel buckets and no title can there be in the K.C. area? Weren't they asking $1500 for it before? 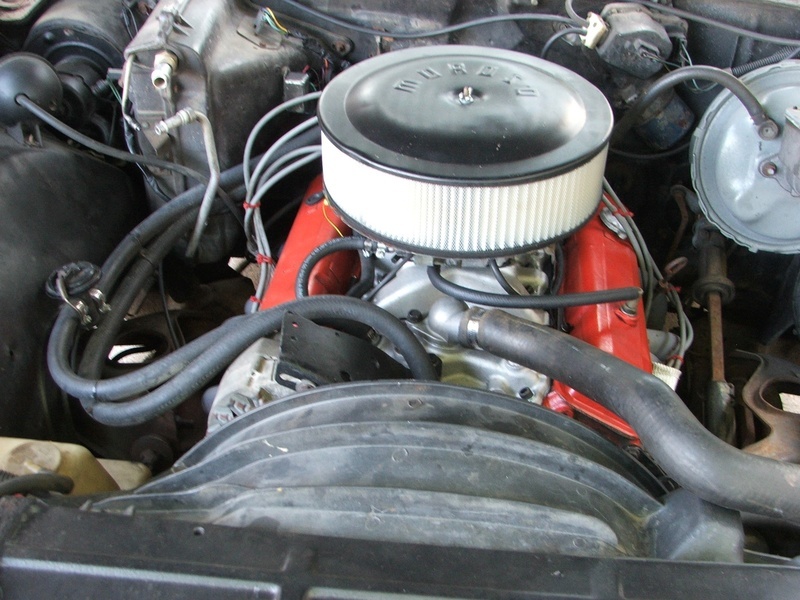 Unless someone got it for half that, why would they bother buying it, cleaning it up, getting it running and then turn around and only ask $1200? It's in a different part of KCK now. I'm pretty sure it was near Leavenworth before. Now it's around Kaw drive. It's possible that this guy got it for cheap and is trying to flip it quick. Yeah...judging by his comment of what he thinks the seats and console are worth, he's done the math to try and flip it for a little profit. I don't know about Missouri/Kansas...but, here in MN, a lack of title can be a real hassle...and, a deal killer. Hopefully, it won't go to a Demo Derby or circle track buyer. It has a different phone number this time. I texted the first seller and he told me it had been sold. Not sure about the KS side, but in MO it’s a bit of a challenge taking a car to a junk yard without a title. That's kind of what I've been told around here. I inquired with the local U Pull a couple months ago about this when I was looking at an untitled parts car and they were going to charge me to take it off my hands because of the added paper work. 77 add is gone, but the 74 is down to $1500. » Mizuno Ronin 2's almost gone! $33.00-$95.00 depending on size. » Alex Smith going to KC? !